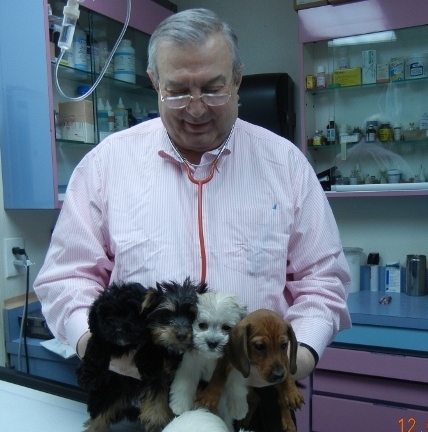 Dr. Adrian Alexandru received his Doctor of Veterinary Medicine degree from Cornell University. He has been a practicing veterinarian for over 40 years. He established the Animal Clinic of Bay Ridge in 1969, and through the years opened many other practices in the New York area, although he continues to practice medicine only at Bay Ridge. He enjoys and loves veterinary medicine and challenging cases - both medical and surgical, and welcomes referrals from associated clinics for assistance in these cases. Dr. Alexandru believes in practicing high quality medicine at an affordable cost for the families of our neighborhood. 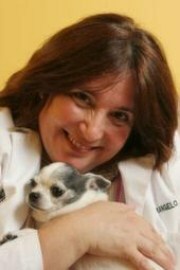 Dr. Lynn Marie Mastrangelo received her Doctor of Veterinary Medicine degree from Mississippi State University in 1996. Her undergraduate studies were completed at Rutgers University in New Jersey. She was a veterinary technician for many years before becoming a veterinarian, working in hospitals such as the Animal Medical Center in NYC. As a veterinarian Dr. Mastrangelo practiced in several private hospitals and served as the medical director of a large 24 hour hospital on Staten Island. She owns and operates Veterinary Housecall Practice, by appointment only. For an appointment call (646) 372-4802 (Monday-Tuesday-Thursday) or (718) 833-0700 (Wednesday - Friday) Servicing wellness and medical care for animals in the owners home in Bay Ridge, Dyker Heights and Staten Island. She joined Dr. Alexandru at The Animal Clinic of Bay Ridge in September 2009 to compliment their commitment to high quality compassionate medicine. She sees patients at The Animal Clinic of Bay Ridge on Wednesday and Fridays. Dr. Mastrangelos' practice philosophy is to be the "family doctor for your pet". She will spend time with your pet providing quality medical care and time with you to answer any questions about your pets. Her special interests are in Internal Medicine, Dermatology (Allergies), and Geriatric Care. Dr. Mastrangelo lives with her twin daughters, her cats and a Chihuahua named Gabby. Dr. Lynn Mastrangelo is also available for house-calls by appointment only. Dr. Ninette Ibrahim is a graduate of Cairo Veterinary School in Egypt. She received her veterinary degree in 1993. Dr. Ibrahim completed a rotating internship in small animal medicine and surgery at Oklahoma State University. Dr. Ibrahim joined the Animal Clinic of Bay Ridge in 2009. Her interests include canine and feline medicine, Dr Ibrahim is a member of American Veterinary Medical Association (AVMA) and she is a USDA accredited veterinarian to issue international health certificate. Dr. Ibrahim enjoys spending time with her family and her dog Lucky.